The word gayap translates to a helping hand by friends and neighbours–and is an approach historically used in rural communities where villagers come together to assist in constructing homes amid a celebratory atmosphere of food, drink and music. In 2017, the Housing Ministry conceptualised a programme which merged the gayap concept–minus the food and drink–with their aided self-help initiative, in a pilot programme intended to transform historically neglected communities. 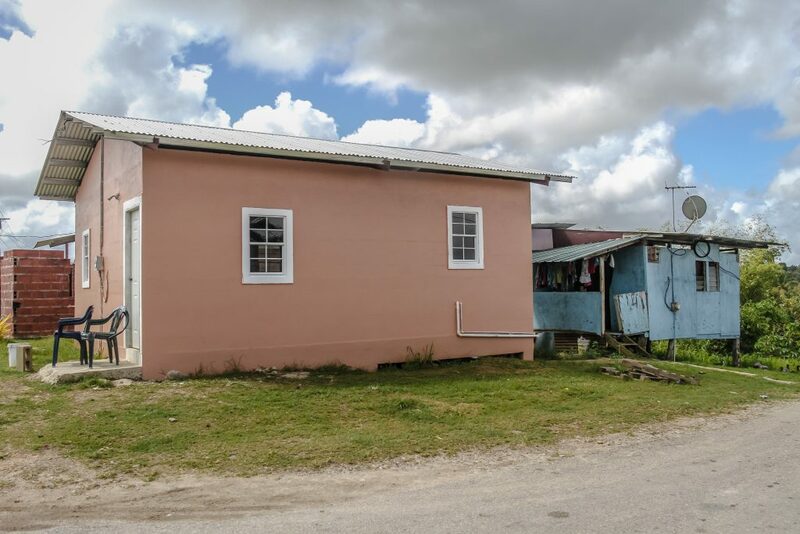 The Housing and Village Improvement Programme was established under then housing minister Randall Mitchell in early 2017 and by November it was approved by Cabinet. It won the President’s Award for service excellence and innovation in the public sector in November 2018. 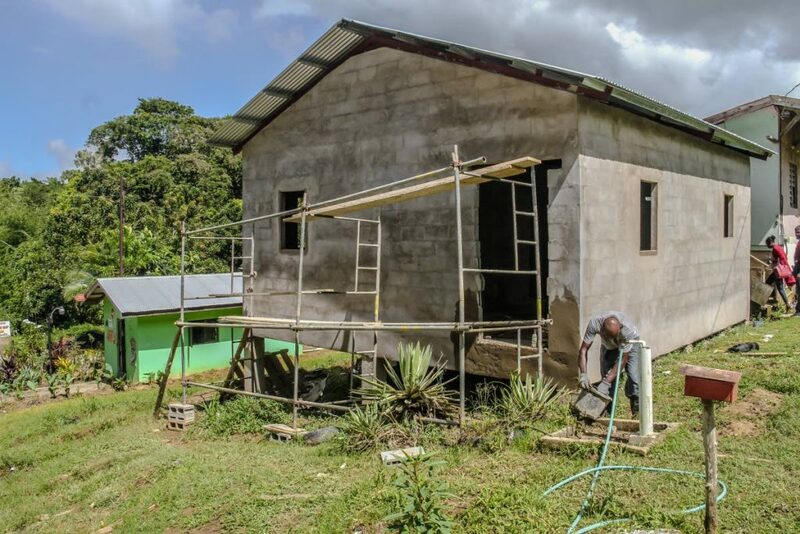 The idea behind it was to provide an opportunity for people who–like in the aided self-help approach–had land but no source of funding to construct a home and also allowed them to contribute labour, while the Government would provide funding for contractors to build within a budget of $100,000. 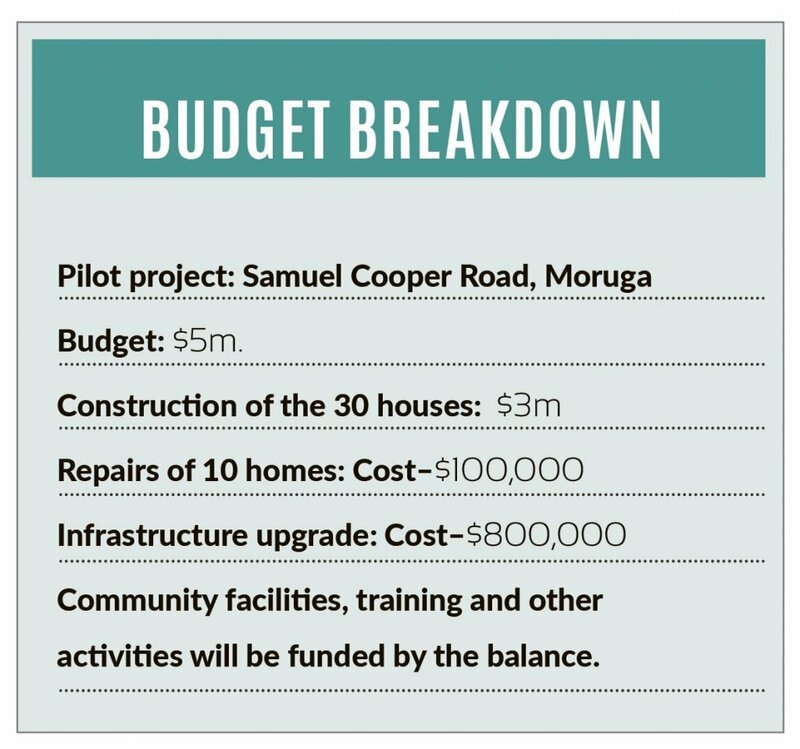 The pilot, launched this year in Samuel Cooper Trace, Fifth Company, Moruga, was designed to construct 30 houses, a community centre and distribute 10 grants valued at $10,000 each for repair work, as well as build infrastructure with a budget of $5 million. The community was chosen because of the lack of development and saw the realisation of a campaign promise made by the Prime Minister while he was touring the area ahead of the 2015 elections. 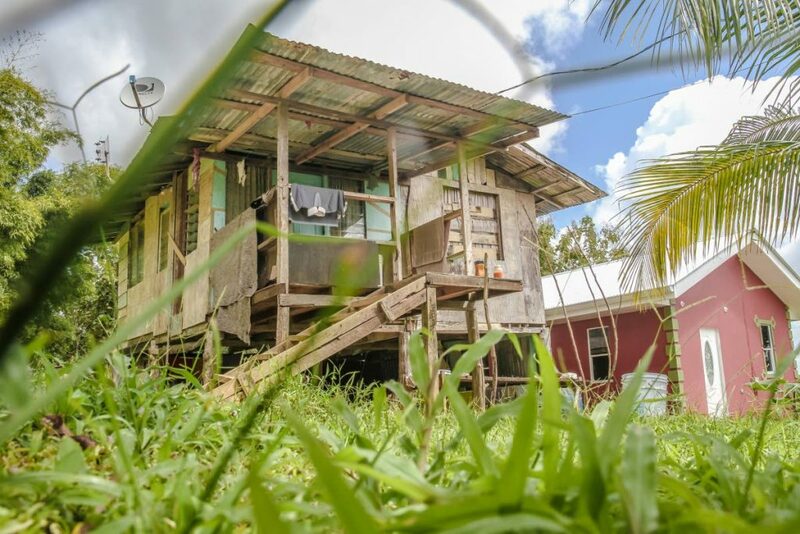 Villagers recalled Dr Rowley, in 2015, standing under the shade of a coconut tree, watching green hills, dotted with haphazardly built wooden shacks, observing their living conditions. They say he promised that, once elected, he would ensure the village was improved by the next time he visited. The community rests on part of a 16-acre block of Merikin land given to former slaves, who were also former African-American marines, to establish a community in Trinidad in the early 1800s. Descendants of the Merikins have been permitted to live on the land and claim ownership for more than 200 years, without titles, and so far no government has made any headway in regulating the land ownership issue, though Moruga MP Lovell Francis told Business Day, the Attorney General was giving attention to the issue. But even without land titles, the residents had rights to the land and Mitchell, who toured the area in 2017, said the village met the other criteria of the programme. He recalled visiting the area and feeling that it was clearly afflicted with poverty and poverty housing. He said the decision was taken that the aided self-help approach would be used, as the residents had permission to erect structures on the land, despite not having land titles. "When you took regard of the surrounding circumstances, and the history of the area, you got an understanding of why in part these people were so afflicted. I'm referring to their lack of land tenure, so while they owned their properties and had permission to live on a particular plot of land they can't go to a bank now and use the equity in the land to build appropriate housing," he said. Learie and Keisha Blackwell are Merikin descendants and have benefited from the programme. The couple watches the concrete structure which rests alongside their wooden one every day, waiting for the day it will be completed and they will be allowed to move in. The home they currently occupy is a mish-mash of different types of salvaged wood, galvanise and its key features are a leaky roof, holes in the floor a window without glass panes, but they are a happy family of four. In an interview, Keisha said she had put no belief in Rowley's promise. She had heard a politician's promise before, when her first home was destroyed in a landslide more than a decade ago and she had received no help, despite promises then. "We moved here about 15 years ago, we have two children now, girls and they are excited to move. We lived here, in the house there, and we were good because that is what we had to make do with, but when the rain falls inside gets wet and now that our daughters are teenagers we find it hard for them to go out in the night to use the latrine, because of crime and because of snakes and other things," Blackwell said. The new home would feature two bedrooms–one for the girls to share. Blackwell has already painted the rooms and is looking forward to moving. 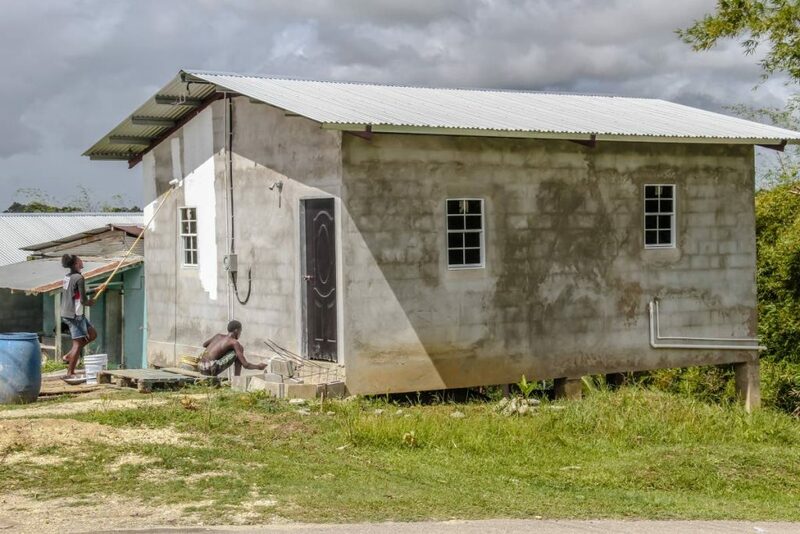 Many of the families are already using the houses' bathrooms and children are seen sitting around the unfinished structures, playing or chatting. The pilot programme, implemented by the Land Settlement Agency (LSA), is expected to be completed in January. The 16 contractors initially chosen for the work soon whittled down to four, as others abandoned the project due to the improbability of making a profit or breaking even. 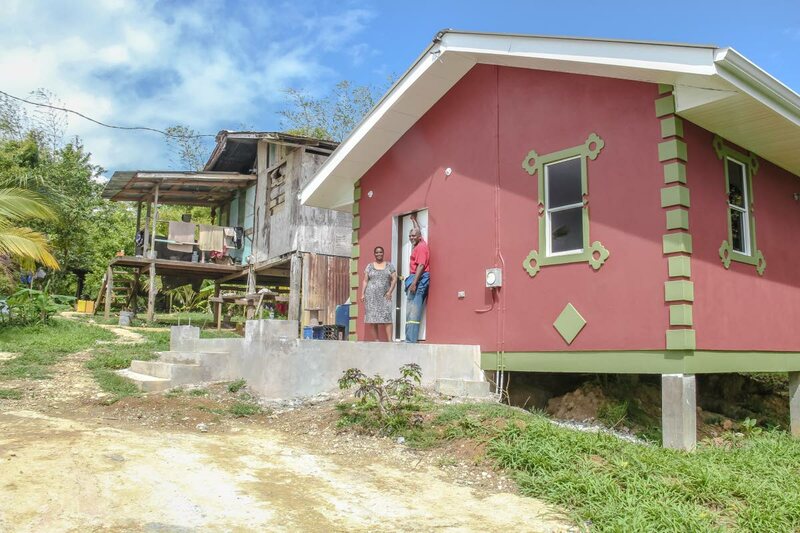 Families who benefited from the programme were selected based on the quality of their homes, household size and income levels so that people who lived in homes that were in obvious need of being rebuilt would be allotted new houses, while those who needed repairs would receive grants. 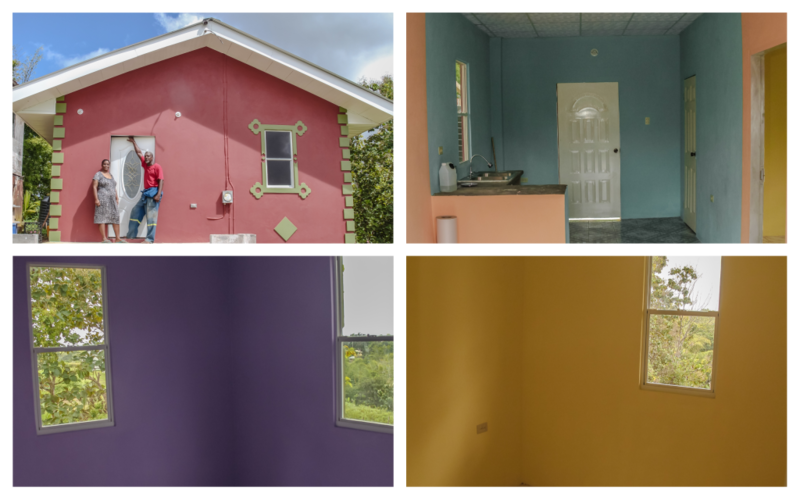 Contractors, like Sherwin Joseph, negotiated with hardwares for discounts on doors and windows, some residents got materials donated and others bought their own materials to see it through. Joseph, who gave reporters a tour of the village on Monday, said while there was no profit made on the construction, as a member of the community, he felt proud to have been able to contribute. In response to questions from Business Day, LSA CEO Hazar Hosein said the programme was also intended to achieve its objectives at the household level with home construction, at the village level with improvement of infrastructure, utilities–roads, drainage, water, electricity and by providing skills training and mentoring to villagers. He said when LSA was finished in the area, they hoped to preserve the historical context so the village can capitalise on its own development. "Many more villages are planned and the ground work is occurring now. These are all villages and residents in the lower income groups with challenging housing and infrastructure based on CSO and LSA Social Survey data." This approach reflects the Government's budget promises since coming into office in 2015 and their focus on the provision of affordable housing for the lower income households who need it most. While the Housing Development Corporation's programmes construct and allocate housing for those who can afford to pay mortgages, as does the ministry's aided self-help initiative, this particular programme may be Government's solution to ensuring those who live in poverty benefit from its distribution of public spending. Reply to "A Merikin home: Moruga pilot gives hope to former slaves’ descendants"